Jason’s career as a professional Chef spans across 4 decades, and the heart and soul of the business is centred on Kentish produce, whenever possible. Foods served at The Curious Cupcake Café such as home-cured salt-beef,smoked salmon, roasted hams, pickles and meatballs are produced at Jason’s deli and delivered fresh every day to the café. We’re growing famous for our chunky cheese on toast with red onion chutney. Our four-fish-finger sandwich served open, is a real crowd pleaser, and The Cupcake Full Breakfast with crispy bacon, local butchers sausage and farmhouse toast is a must for a lazy Sunday morning brekky. Chunky, fresh, granary sandwiches and toasties adorned with Brie, bacon and chili jam, Kentish sausages, or old classics such as cheese and tomato, are a big favourite earning us great reviews. Five Star Apple and Blackcurrant Cake ! Called in at 4pm today, during our first visit to Margate for years. Really surprised and delighted to find this little gem. Fresh and really delicious cakes, excellent whole-leaf tea, tables outside in the Market Square - and, oh yes, really friendly staff on top of that. Could you ask for more? I had a spare half hour and thought I’d check out Jason Freedman (of Curiously Kentish fame) latest offering, and it didn’t disappoint! 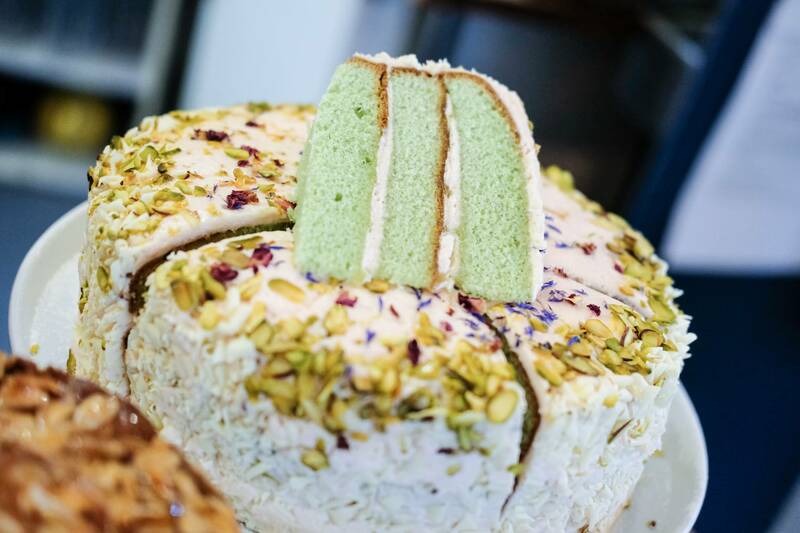 Fab range of quality teas and coffee; his tempting and delicious home-made cakes come with a contemporary twist: the courgette, lime & pistachio cake was divine. See you soon! Filled bagels, crumpets, afternoon tea and cakes, and a great choice for children such as fish-finger sandwiches, beans on toast or simply a peanut butter sandwich is what keeps our customers happy. Our café is renowned for great service, attentive & courteous staff, indulgent coffee and a full range of Debonair loose leaf. Our ‘Builders Brew’ is a favourite with customers old and new, and is a gutsy blend of Kenyan and Assam teas, for those moments when only a ‘proper cup of tea’ will do. We’re fully licensed serving local beers, wines and ciders to accompany your lunch, and have gift vouchers available for those wanting to treat a foodie friend, or family loved one, to an afternoon of decadent tea and cake. The sweet stuff is where life becomes exciting! Our butter-iced cupcakes with chocolate, salted caramel and vanilla are homemade, and delivered fresh every day by local baker, Shahla Cakes. Victoria sponge, coffee and walnut, honey and lavender and earl grey and lemon are just some of the handmade cakes you can enjoy with a cuppa! A range of gluten free cakes is also available. Our sample menu gives you a great idea of what we serve. But as you’d expect from a café that prides itself on local fresh produce, it is subject to changes. Our little café is so wonderful; it was even frequented by Her Majesty The Queen. Lovely toasted bread With a large amount of tasty scrambled eggs, really tasty herby sausage served with a good portion of beans. Little disappointed with the bacon tasty but very small. Staff are great service is good. Quality, atmosphere and great sustenance are what Charli, Lyndsey and the team at The Curious Cupcake Café, strive for.